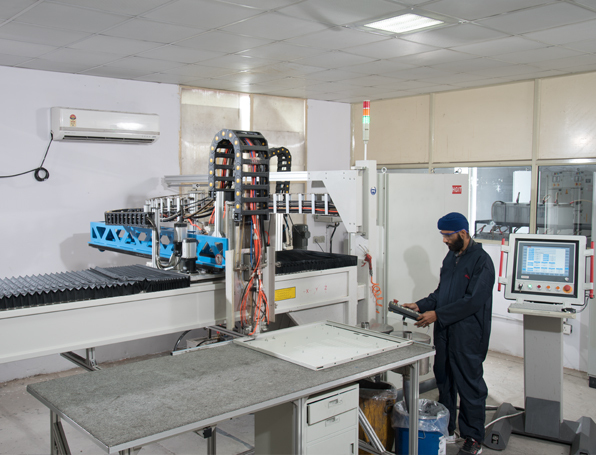 The state-of-the-art manufacturing infrastructure of Karolia Lighting Pvt. Ltd is strategically divided into different sections viz. Fabrication, Surface Treatment, Painting, and Assembly. All these sections are laid out as per flow of manufacturing and TQM requirements. 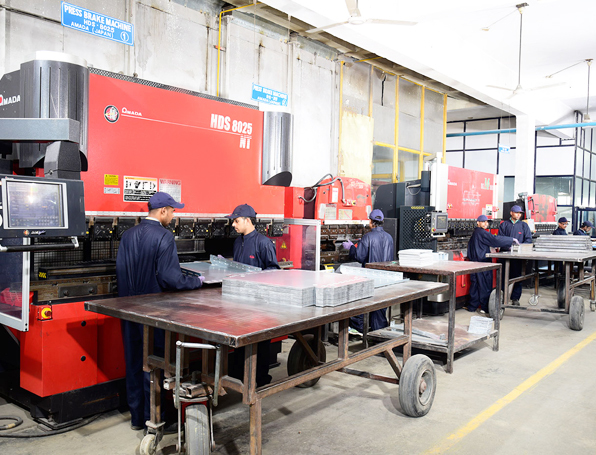 In the world-class fabrication set-up, high quality CRCA sheets are punched on Turret Punch Press for utmost precision. 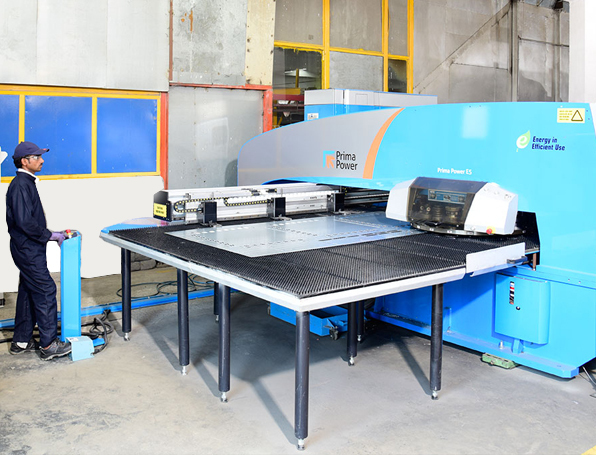 The automatic mechanism of the machine accepts drawings in a digital format and carries out the slotting and punching using 31 stations of the turret. All doors and structural members are accurately punched / slotted to ensure high levels of accuracy. The machine has various speeds and is capable of high output.